A nonprofit’s website can be the very first introduction to an organization for a potential client or donor — especially because “word of mouth” often occurs digitally through an e-mail, text or link from a social media platform. Everyone who visits your website is a potential donor. How can you transform as many of these prospects as possible into donors? 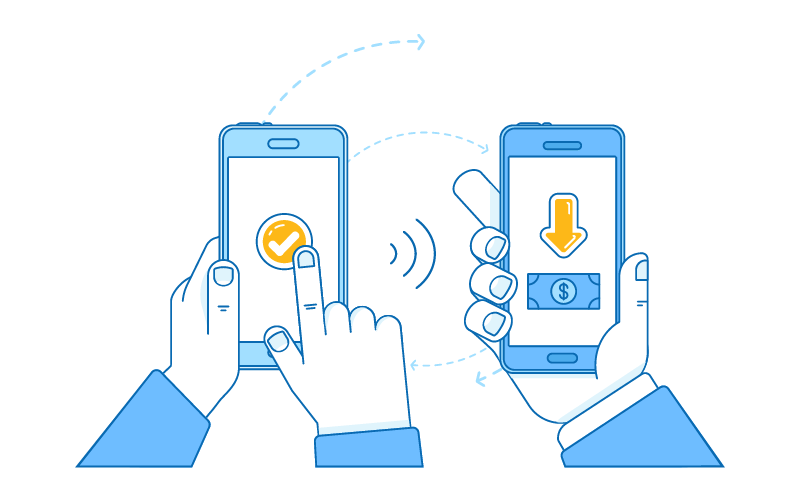 One of the simplest ways is to ensure people can quickly and easily donate online — and that means having a functional Donate button prominently featured on your website. Today, the average human attention span is about 8 seconds — roughly the same as that of a goldfish.1 To turn website visitors into donors, it’s crucial to make it as convenient and quick as possible for them to donate, before their attention turns elsewhere. Your organization’s website needs to motivate the visitor to act — in this case, to donate to the cause. Nonprofits raised $1.19 per website visitor in 2016. The average conversion rate — the percent of visitors who donated — for a nonprofit was 1.2 percent for the entire website, and 18 percent for the main donation page.2 Having a Donate button is vital to convert website visitors into donors. A Donate button might simply say “Donate” — or it can include other messages, such as “Donate Now,” “Give,” “Support Our Work,” “Help Change Lives,” “Help Us,” “Click Here to Donate,” “Give a Gift Now,” “Make a Difference! Donate” and other calls to action. The message should always be short and simple. Donate buttons on the website homepage should lead directly to the donation landing page, with a form on that page where people can give immediately. If your nonprofit has branding guidelines, make sure the Donate button adheres to them, since you might need to use a certain color or font. The button should be eye-catching, but not so different from the rest of your website that it looks totally out of place. Make sure the font is easy to read. 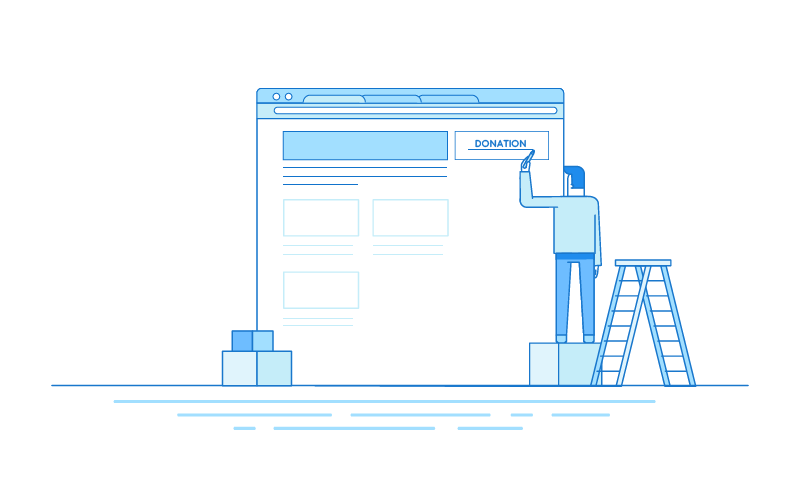 Don’t make the user scroll down or otherwise hunt for that Donate button — it should be prominently featured on the homepage of your organization’s website. Studies have shown that the human eye tends to read websites in an “F” or “Z” pattern — scanning for important information at or near the top of the site.3 This means the upper left-hand corner is ideal for a logo, and the upper right-hand corner is an ideal place for a call to action. The bottom right-hand corner is another good placement for a call to action. Make sure the Donate button is not only on the homepage of your organization’s website. You should include the button prominently on every page, if possible — the header of the site is a great place to put the Donate button so it repeats on every page. Remember, your donors should only have to click once to get to the donation form and give to your organization. The 10 largest U.S. charities in 2016 were United Way Worldwide, Task Force for Global Health, Feeding America, Salvation Army, YMCA of the USA, St. Jude Children’s Research Hospital, Food for the Poor, Boys & Girls Club of America, Catholic Charities USA and Goodwill Industries International. 4 All of them have robust websites. TThe United Way’s homepage has an orange Donate button in the upper right-hand corner of its website. With one click, users are taken to a donation page with a call to action (“Support Our Work”) and a donation form. Feeding America features a bright red “Donate now” button in the upper right-hand corner of the homepage. It flashes green when a visitor hovers over it. Upon clicking through, visitors are taken to a donation page with the message “Help End Hunger Today” and a donation form. The Salvation Army uses the phrase “Help the Salvation Army Save Lives” and St. Jude Children’s Hospital’s donation page says, “Make a donation to end childhood cancer” — a compelling reason to give a gift! Sense a pattern? These major nonprofits all have a donation button front and center, featuring a simple yet strong call to action on both the homepage and the donation page. Users need to click only once to donate to the organization. JotForm offers several examples of great donate buttons. If you have an in-house web team or use a web vendor already, ask them to create a functional Donate button for your site. Provide them with examples of donate buttons you find particularly compelling in both language and design. If your nonprofit manages its website using a content management system (CMS) such as Wordpress, Squarespace, Blogger or Weebly, check to see if there’s a plugin or widget available. Many plugins allow these websites to display a donation button in the site’s header, and they will work with PayPal Donations, Seamless Donations and other programs that enable you to accept and process online donations. Does your nonprofit use a database like Raiser’s Edge or a similar program? Check with your database software provider to see if they offer a Donate button and donation form that is compatible with your existing database. Many offer tools that allow users to create and install donation forms, and the donations are integrated with the database. If none of the above options works for you, you still have several ways to incorporate a donation function and a Donate button into your website. Some of the most popular options include Paypal, Stripe, Donorbox, Network for Good and JotForm. Many of these companies (including Paypal and Stripe) charge processing fees, but they will offer discounts to nonprofits. Others offer pricing at a variety of levels — some even free for under a certain number of transactions per month. All these software companies should be able to provide you with the HTML code you need to add the Donate button and any necessary forms to your website. You can copy and paste the code into your site using your website editor. 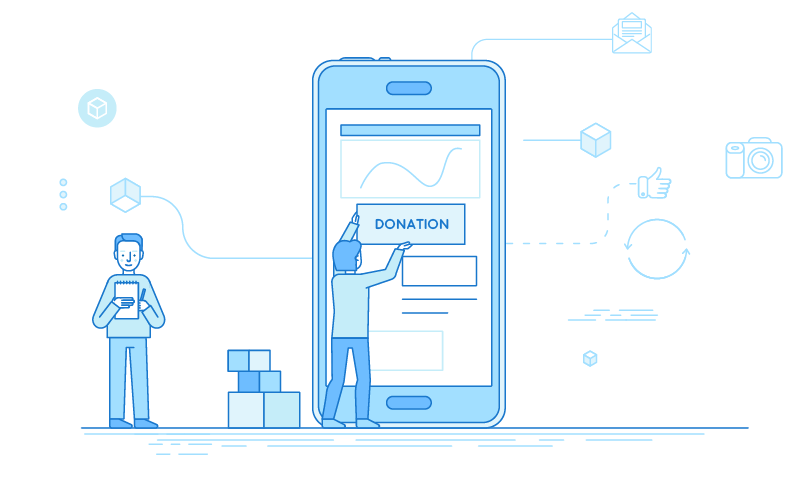 Once you have a Donate button on your website, you can also use it in emails when sending e-blasts — again, linking directly to your donation page with a form where users can easily give to your organization. It may take a little time and effort, but it’s clear that a thoughtfully created Donate button can pay off for your organization.